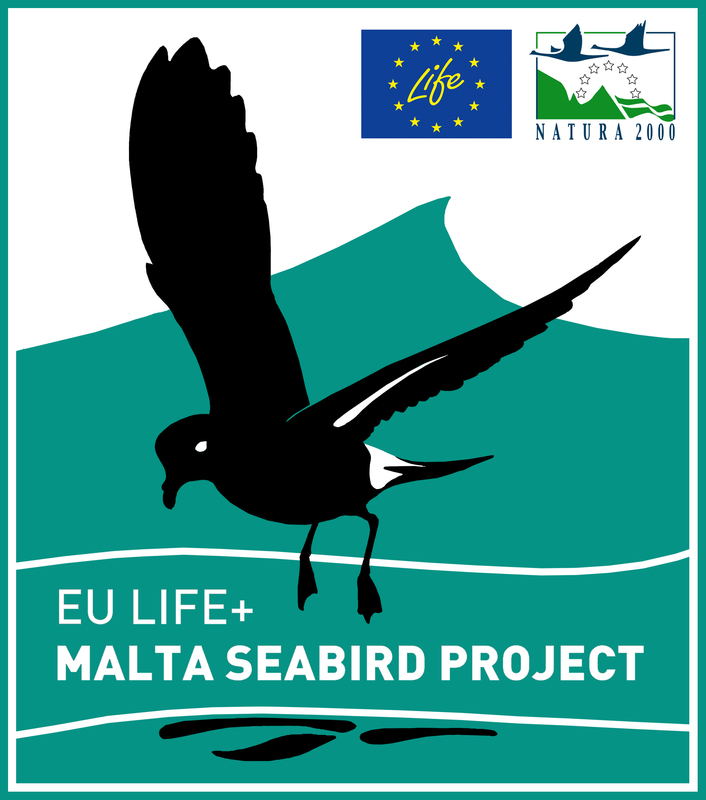 The LIFE+ Malta Seabird Project has been carrying out research for the last 4 years to find the areas at sea that are most important for Malta’s breeding seabirds – the Yelkouan Shearwater (Garnija), the Scopoli’s Shearwater (Ċiefa) and the Mediterranean Storm-petrel (Kanġu ta’ Filfla). After intensive research carried out by project staff, BirdLife Malta, volunteers and partners, we are very happy to announce that the 8 marine Important Bird Areas (mIBAs) identified have now been confirmed by BirdLife International. The 8 mIBAs identified cover a total of 27% of the Maltese Fishing Management Zone (FMZ) which extends up to 25 nautical miles from Malta’s coastline. The sites were identified based on scientific research including colony size assessments through seabird monitoring and land based observations, standardised vessel-based seabird counts, GPS and GLS tracking of seabirds, and modelling of expected occurrence using oceanographic data. The sites are used by the three species for foraging and rafting during the breeding season. The criteria which are the basis of their designation demonstrate their international importance for the three seabird species and the responsibility for Malta to protect them. These areas provide an essential basis for the Maltese Government to declare as marine protected areas under national and EU law. Once these areas are designated they will become Malta’s first Marine Specially Protected Areas (SPAs) under the EU Birds Directive and will become part of the EU-wide Natura 2000 network. This will provide the necessary primary tool for the Maltese government to manage these sites in order to make them more seabird friendly, and ensure the future of Malta’s internationally important seabird populations.